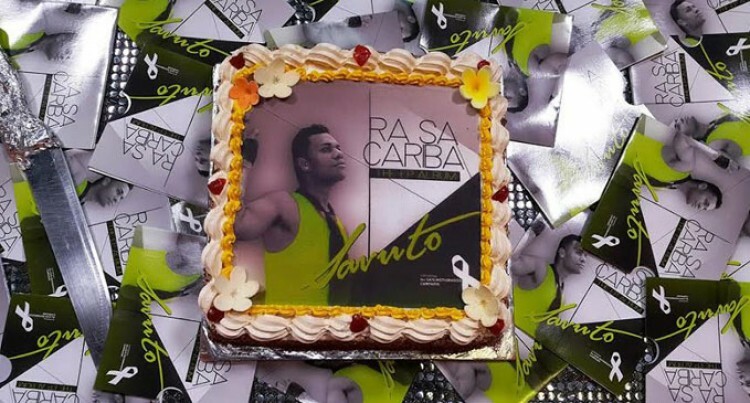 Singing sensation Savuto Vakadewavosa has launched his EP album titled, Ra Sa Cariba. Savuto appeared on Fiji TV Breakfast Show last Monday to officially announce the launching of his album. Singing sensation hits road as new EP album takes-off. Singing sensation Savuto Vakadewavosa has launched his EP album titled, Ra Sa Cariba. Savuto appeared on Fiji TV Breakfast Show last Monday to officially announce the launching of his album. Speaking to GM, he said, the album is now available at all South Pacific Recording (SPR) outlets throughout country. “It will be available on iTunes and its all thanks to Music Production House Australia,” he said. Savuto also pointed out that were some special people behind his EP album project. For the next couple of weeks, Savuto will be working with FNU in performing and promoting his EP album using creative arts in most of their upcoming road shows and orientations. Savuto confirmed there would be a mini-media tour to the radio stations and also visiting all SPR outlets to promote the album. He indicated that fans should be on the lookout for his latest video clip and it’s all thanks to Darxide DJ, which also features Vulakoro. Savuto plans to do a mini televised unplugged concert where people can come to watch him live as he performs some cover tunes and songs from his latest release. “There are exciting and bigger plans in the pipeline this year and I’m looking forward to make it happen in 2015,” he added. For more information and latest updates on Savuto follow him on his official face book page: www.facebook.com/officialsavuto.